These are 100% aquacultured colonies that are hardy, healthy, and ready for your tank! 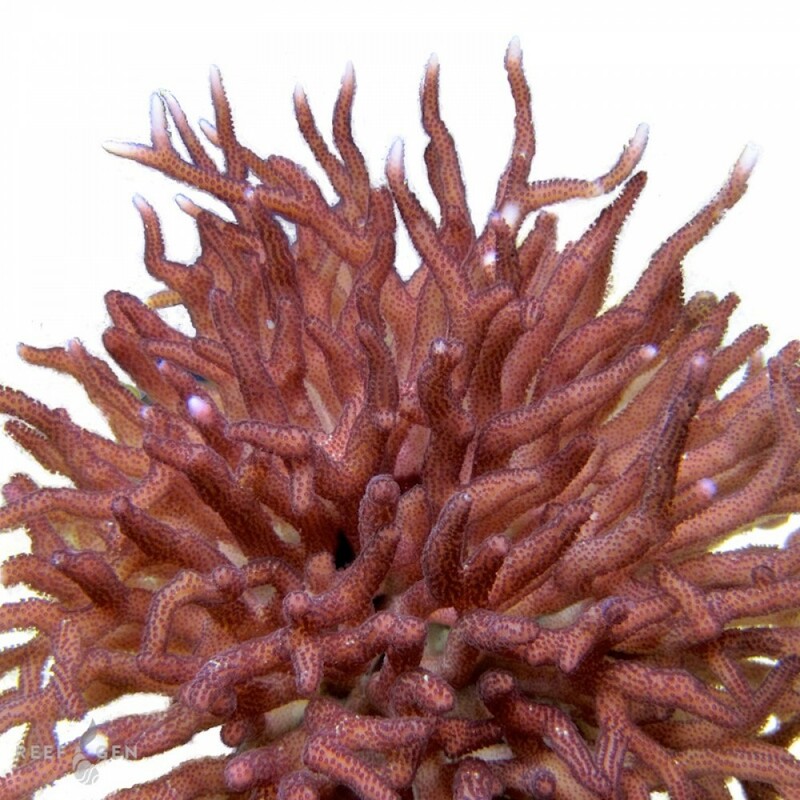 Joe Burger had the mother colony of this beauty in his famous Long Island reef tank. During a visit, Laura found a 1" branch lying in his driveway after a water change. Burger said ReefGen could have it and that tiny branch began an empire of birdsnests at ReefGen. 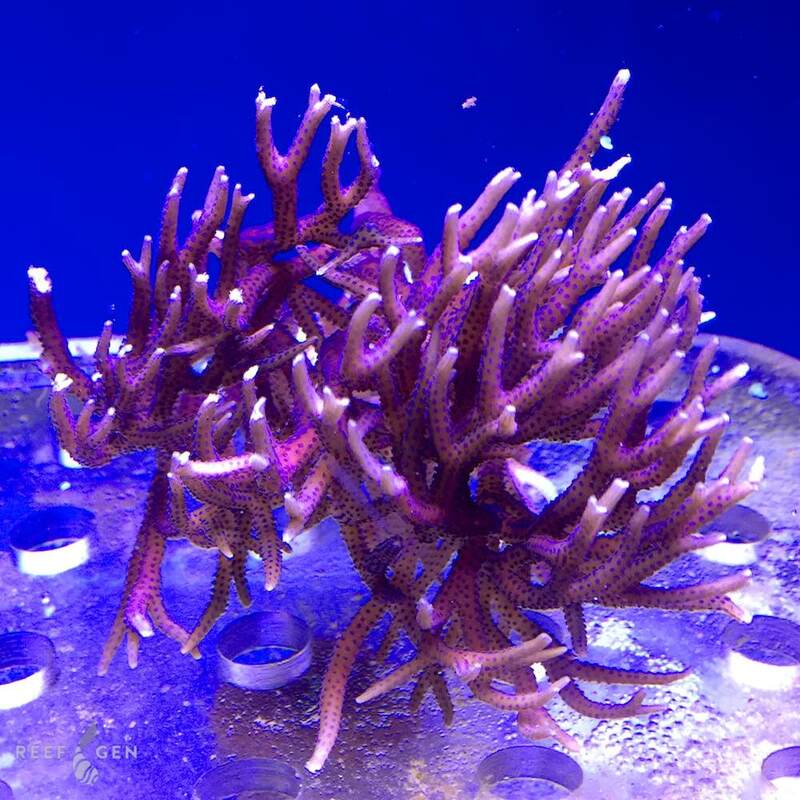 Now this bright pink coral has several large thickets growing throughout Joe Yaiullo's 20,000G Reef tank. 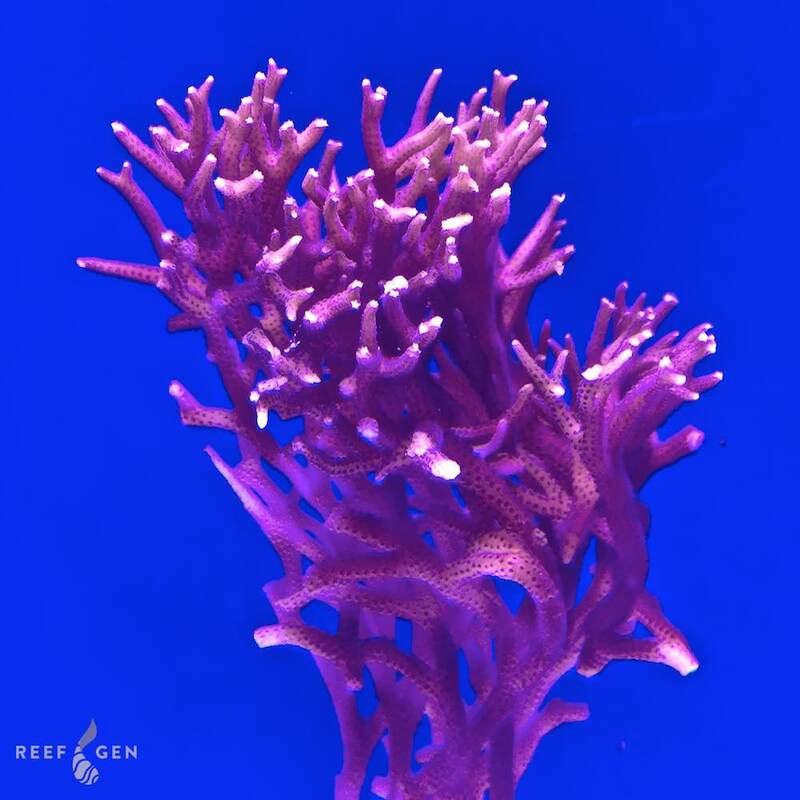 This Seriatopora has a pink base with teal highlights and beautiful purple polyps. Grows quickly in good water and high intensity light.